I love the sentiment on this card “I’m so glad you’re part of my story” from the new Stampin’ Up! Part of My Story stamp set. 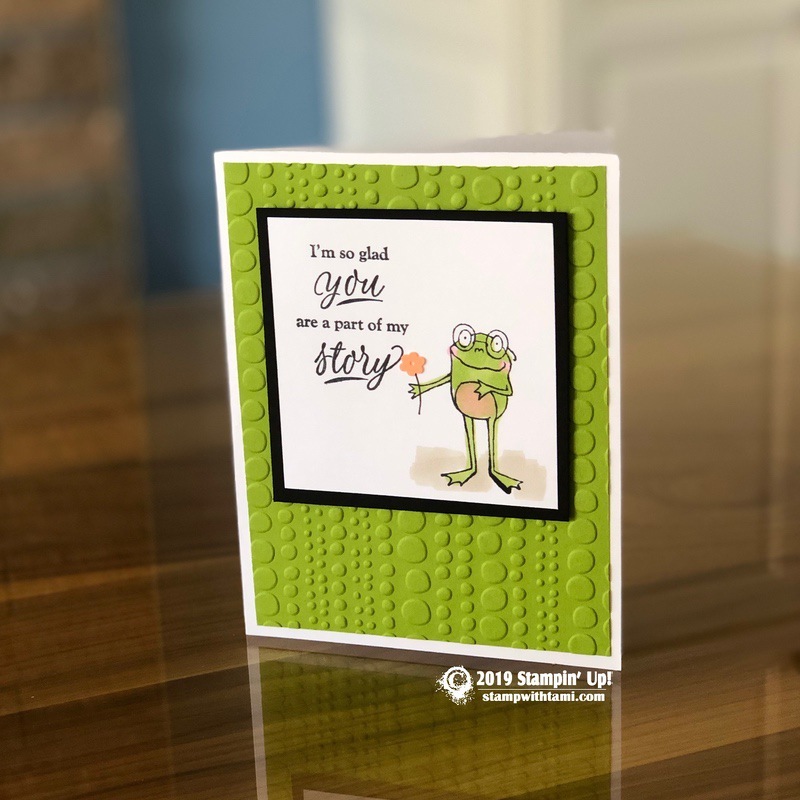 The frog is from the So Hoppy Together stamp set. Both of these sets are available free with qualifying orders during Sale-a-bration. The background is textured with the Dot to Dot Impressions folder. The flower is from the Gingham Gala Sequins. Both of these items are found in the new Occasions Catalog. The frog image is colored with the ink pads and Aqua Painters.